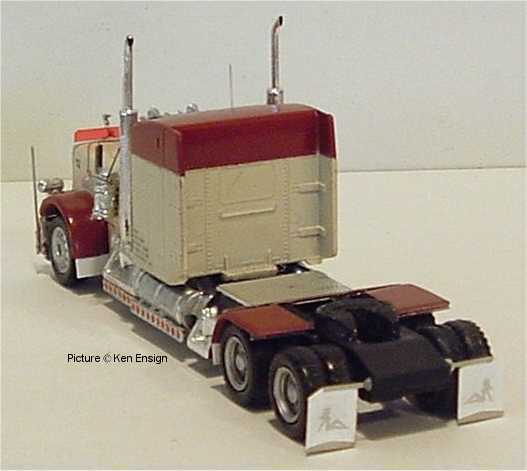 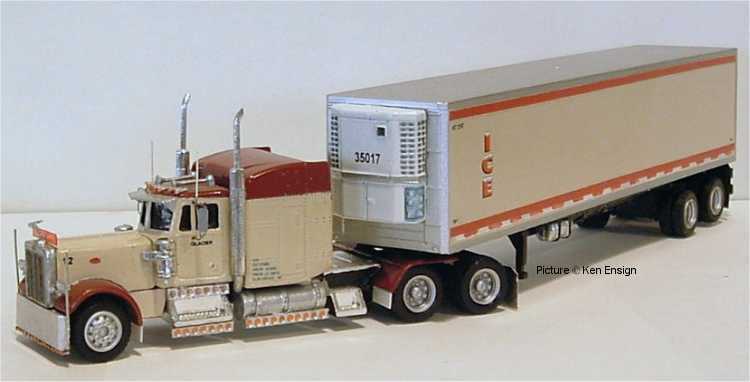 Modified resin cast Peterbilt cab (stretched hood for the EXTH look) and Herpa sleeper on a modified Edocar chassis. 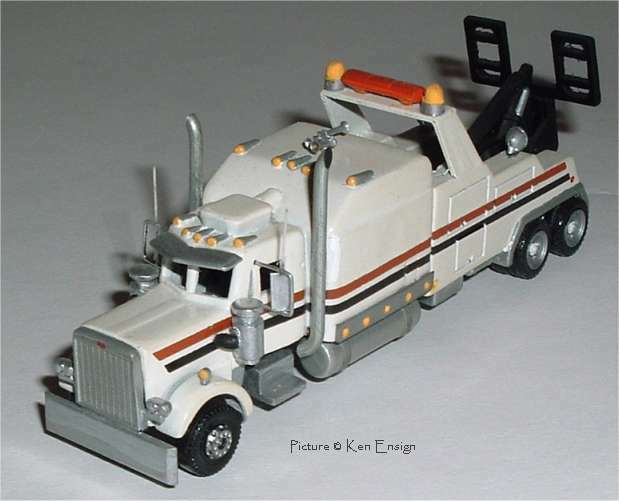 All details were pretty much scratchbuilt or are parts from the parts bin. 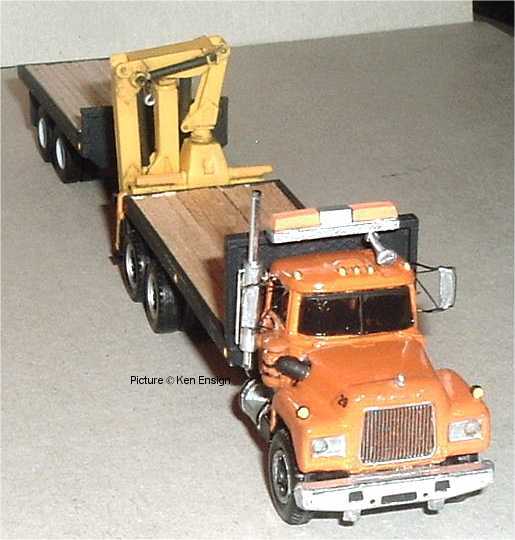 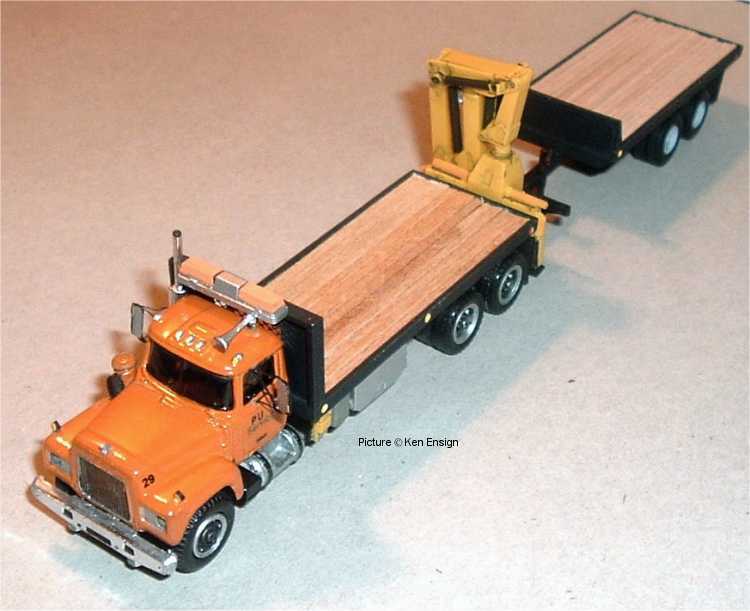 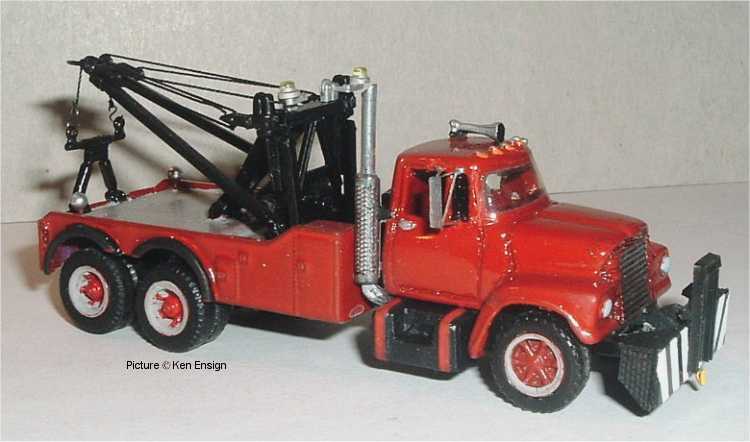 R-model Mack cab (resin cab by Steve DelSesto), scratchbuilt bodies with wooden decks, Herpa crane. 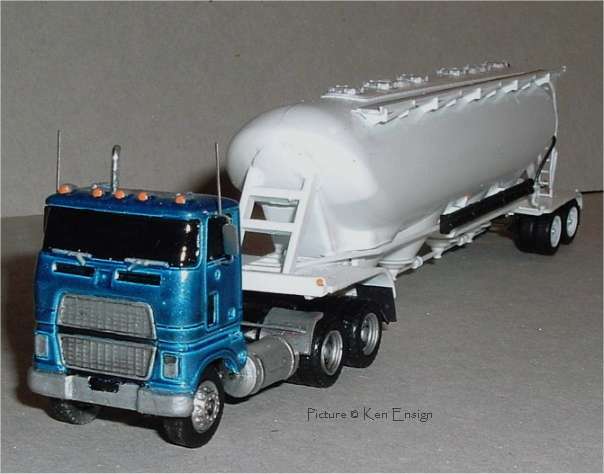 IH Fleetstar (master by Ken, resin cast by Steve DelSesto). 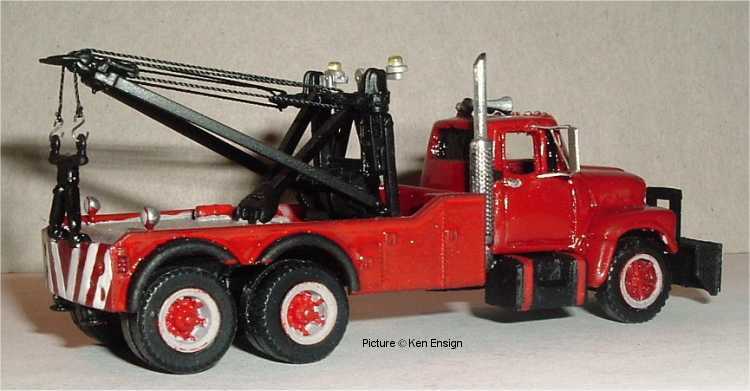 The wrecker body is Athearn, the chassis is scratchbuilt and the wheels are Herpa.